El XF4F-1 de 1935 fue diseñado como un seguro biplano tras el fracaso del monoplano Brewster XF2A, pero se reconvirtió en 1936 en el monoplano XF4F-2, a la postre el caza naval más importante de los Aliados en los primeros años de la guerra. Este avión retuvo el fuselaje rechoncho tícpico de Grumman y el tren de aterrizaje retráctil en el fuselaje, y su prototipo voló por primera vez en septiembre de 1937 en competición con el XF2A. Tras la entrada en servicio del F4F3 en 1940, siguió un considerable desarrollo en potencia y armamento. El modelo fue sustancialmente mejorado con versiones tales como F4F-4 y el similar FM-1 de General Motors, con ala de plegado manual; el FM-2 con mayor potencia; y el F4F-7, de reconocimiento desarmado. El modelo fue denominado Marlet y luego Wildcat por los británicos y se fabricaron 7.344 ejemplares. 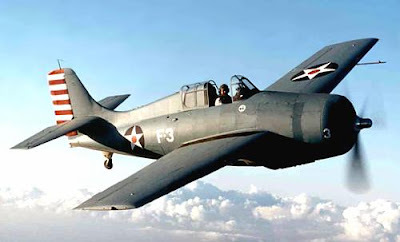 Características técnicas del Grumman F4F-4 Wildcat. The XF4F-1, 1935, was designed as a biplane insurance after the failure of the monoplane Brewster XF2A, but was converted in 1936 in the monoplane XF4F-2, in the end the most important naval fighter of the Allies in the early years of the war . This aircraft retained the stubby fuselage tícpico Grumman and retractable landing gear in the fuselage, and the prototype first flew in September 1937 in competition with XF2A. Following the entry into service of F4F3 in 1940, followed by a considerable power and weapons development. 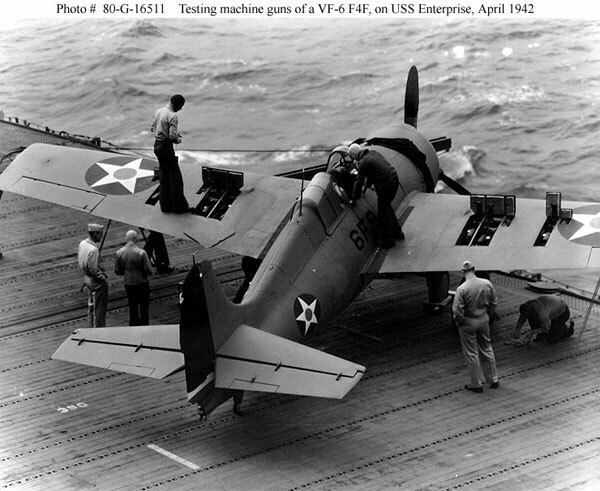 The model was substantially improved versions such as the F4F-4 and FM-1 similar to General Motors, with manual folding wings, the FM-2 with more power, and the F4F-7, unarmed reconnaissance. The model was called Wildcat Marlet and then by the British and 7,344 copies were manufactured. Technical characteristics of the Grumman F4F-4 Wildcat.